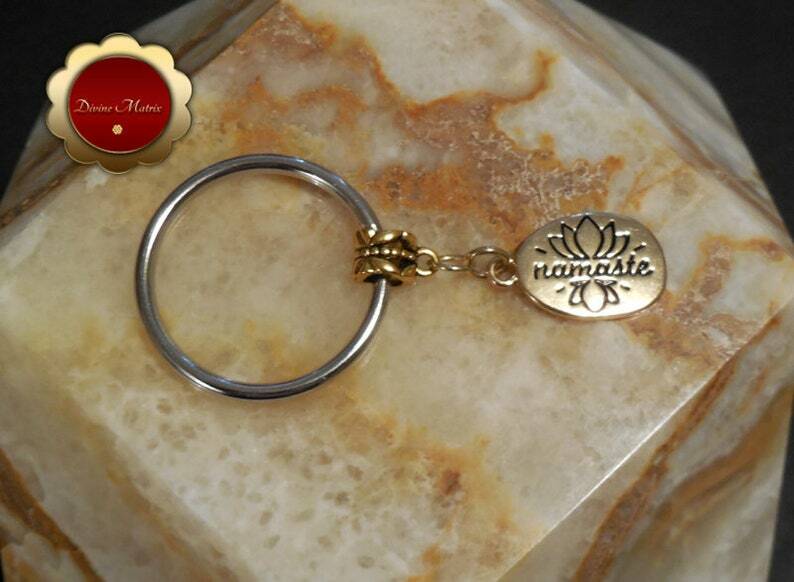 This is an antique gold Namaste with Lotus charm keychain that comes in gold metal. In Buddhist symbolism the lotus is symbolic of purity of the body, speech, and mind as while rooted in the mud, its flowers blossom on long stalks as if floating above the muddy waters of attachment and desire. It is also symbolic of detachment as drops of water easily slide off its petals. This keychain would make a nice gift for someone special. The key ring is a nice 32mm in size. Zinc alloy and iron. Nickel and lead free. Metal. Charm 0.98" x 0.55" x 0.06"